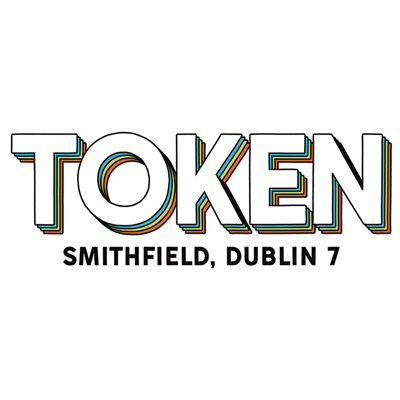 Token is a restaurant - bar - retro arcade - pinball parlour - event space. We have over 32 machines, 22 taps, and an extensive menu for all tastes. We are strictly 18+ with no exceptions, ID may be required for entry. Our food consists of our take on high-end fast food. Whether it be an out n in burger, vegan calamari, deep fried Oreo cheesecake bombs, or extremely hot chicken – all of our dishes are cooked to order. We host events, gaming and not gaming-related, ranging from film screenings to board game meet-ups to pinball leagues to eating challenges to beer tastings & more! Easily the best vegan junk food in Dublin, and an excellent craft beer selection. We came as a large group and the service was outstanding. Great food, atmosphere and nostalgia with the arcade games, we will be back! It was for two of my friend's birthday and it was fantastic! We all love to play games so it was a great experience. Burgers and sweet potatoe fries are delicious and the cocktails are very nice! We've been going here monthly for over a year and it's always been fantastic, great food, great staff, and great value! My first visit to token I really didn’t know what to expect. I found the overall experience excellent from the atmosphere, staff the food so fresh and the added bonus the games. If you want a completely different dining  experience I highly recommend it. Great spot, been a few times and no doubt I’ll be back again for the games, amazing food and brilliant selection of beer. Cool place, we always have great time there. Allergen menu is brilliant and the games are immaculate. Loved it! Awesome time was had by our team! A really good fun day out! The food was fine. But we were put on a table with no forks, no napkins or water and even though we had booked a table because someone didn't show in our party we had to share our table. It felt very money grabbing trying to pack as many people as possible in there. Also mens toilet had only 1 useable stall. Wouldn't go for food again, from past experience it feels like they sacrified quality for numbers. The misfortune cookies were very soft and chewy. Potentially out of date?